It seems that with a simple wave of a wand, Robert Friedland and Ivanhoe Mines can divine a miraculous, world class mineral deposit – and miraculous is the only way to describe Friedland’s Democratic Republic of Congo copper find. He was already regarded as arguably the world’s most successful contemporary explorer, however Friedland removed any doubt in 2006 when he and his team discovered the Kamoa stratiform copper deposit in the DRC at the far western end of the Central African copper belt. Then, for good measure they followed it up with the adjacent Kakula discovery in 2016. The Kamoa-Kakula deposit is mind blowing because of its size and grade and would have had West Perth mining types positively frothing at the mouth after just the first round of assays were in. The combined Kamoa-Kakula Indicated mineral resource now sits at over 1 billion tonnes of ore grading around 3% copper and just for good measure, it boasts another 191 million tonnes grading 2.37% copper, still at inferred status. In what looks like a David and Goliath pairing, Ivanhoe Mines have done a deal in the DRC with a junior ASX listed company by the name of Nzuri Copper. The Perth-based junior has carved out an enviable position right on the doorstep of Friedland’s copper miracle in the Congo, thanks to local mining regulations that have forced Ivanhoe to shed vast tenement holdings since 2009. These areas include discoveries made by Ivanhoe that don’t fit the size threshold for a Tier 1 company and highly prospective areas that have gone unexplored simply because Ivanhoe have been focused on their main prize. This opened the door for Nzuri Copper, led by non-executive chairman and veteran geologist Dr Peter Ruxton, who also controls around 59% of the company through Tembo Capital, a private equity mining fund that specializes in emerging markets. Nzuri’s CEO is Mark Arnesen, who has a solid finance and management background at a string of significant mining houses including Billiton/Gencor and Ashanti Goldfields. Nzuri has a two-pronged strategy to monetize their DRC project. The first is the near-term development of its 85% owned Kalongwe Copper-Cobalt deposit, which was discovered just 15 kms south of Friedman’s Kakula. Kalongwe is a copper play that outcrops at surface but it also boasts fantastic grades of Cobalt. The company is on track to deliver a feasibility study next month for a stage 1 development of 1 Mtpa producing 20,000 tonnes of Copper and 1,700 tonnes of Cobalt in concentrate. A new research report by resource analysts lmtd, forecasts a payback period of just nine months on very low development costs of US$33 million and a whopping 61% internal rate of return. It argues that Nzuri is priced at just a fraction of other ASX companies with similar sized copper and cobalt developments. The resource at Kalongwe currently sits at 11.7m tonnes grading 2.7% copper for around 300,000 tonnes of contained copper. 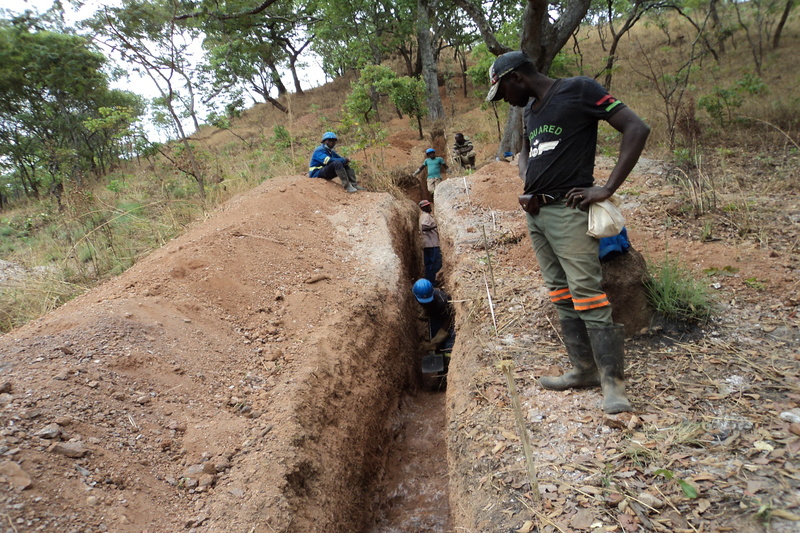 The project also boasts 42,000 tonnes of Cobalt with super impressive grades of up to 0.64%. The second leg of Nzuri’s strategy is the exploration partnership with Ivanhoe known as the Fold and Thrust joint venture, covering 334 square kilometres or around a third of all the remaining ground held by Ivanhoe in the region. Nzuri can earn a stake of up to 98%, but there is also provision for Ivanhoe to claw back around 30% by paying Nzuri a significant multiple of their expenditure. The joint venture is exploring ground with multiple Tier 1 deposits along trend and there are 22 highly rated prospects within it. Up to five are currently being targeted for exploration. With a Tier 1 exploration address, the world’s best exploration company in tow and possible cashflow coming from the proposed, low-cost Kalongwe mine as early as 2019, Nzuri looks interesting right now.